From that first sip as a young girl, I have enjoyed a special relationship with coffee. And, each day begins with coffee first and foremost. At one point in my life, I always had a cup of coffee with me. This habit was so persistent and recognised amongst my social network that a professor of mine once brought me a comforting cup of coffee minutes before a presentation at a national conference. I cannot tell you how much that boosted my confidence (and how much it meant to me on a personal level as well — thanks, Bill!). It was also at that time that my thesis advisor and I would discuss research and work on her NIH project and my thesis project over an afternoon coffee break, often sharing the cup of very fine coffee she was making for herself. (Honestly, I didn’t arrive ‘just in time’ on purpose, Kathy!) 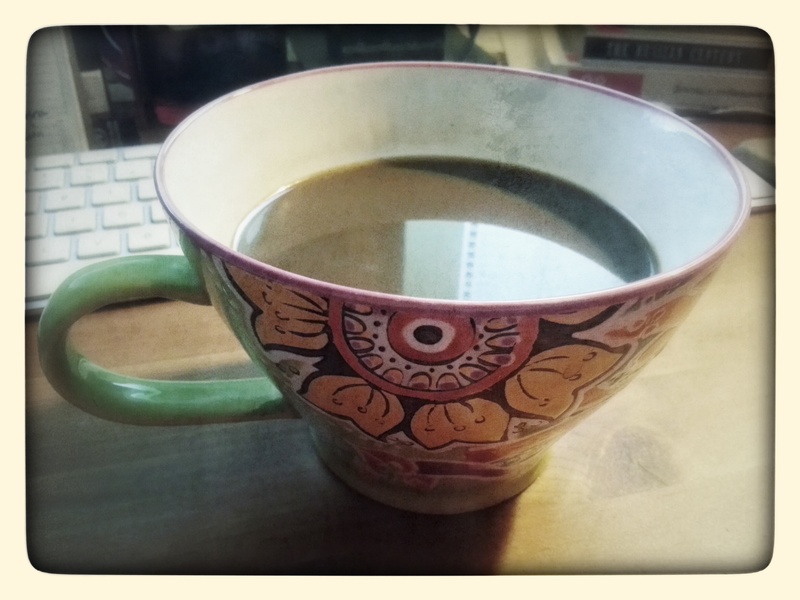 At that time in my life, I was probably a 20-cup a day coffee fiend. Pretty much every part of my day involved coffee and I’d never, ever turn down a good cup of joe. Once, my local supplier in Connecticut asked me to taste coffees as a means of quality control in order to help them decide to contract a new supplier (I gave the supplier a thumb’s down and left that little treat of a tasting quite literally flying). I’ve long since cut way back on my daily caffeine intake, partially for general health reasons and partially to allow me to sleep a little more easily. My daily coffee routine (or ritual?) these days is consistent. My first ‘cup’ (which, if you’ve seen my cup, resembles a bowl with a handle rather than a traditional 8-oz cup) brews whilst I am launching the various applications I use every day at my desk. Mostly, I am just wasting time until I can get that first cup down my gullet and coursing through my veins. I’m useless until I have at least half a cup of my go-go juice in the morning. During that first cup, it’s my time to sort out my goals and targets for the day, take care of any lingering administrative crap, tidy up the kitchen if necessary and generally enjoy a calm, quiet and serene start to a new day. I’m now a two- or -three cuppa girl and generally consume those luscious cups before 15.00 or 16.00 in the afternoon. (This is no problem since I’m an early riser on most days.) I must have at least one full cup before I leave the house (which does mean setting an alarm to allow time for that precious re-fueling ritual) and will leave the house with the second in hand. My favourite coffees are all dark roasts: Ethiopian, Tanzanian Peaberry, Sumatra Mandheling, Brazilian Kalosi, Guatemalan Antigua and, of course, Cuban Turquino. One of the best coffees I’ve ever had is the typical hard currency Cuban brand, Cubita. I was recently reminded of the ‘origin’ of coffee, which is silly and awesome at once. Evidently, 12th century goats danced from bush to bush eating those fine berries, which was observed and copied by their goatherder, Kaldi. ‘Hooray for goats!’, I say. And, thanks, Kaldi! I cannot imagine a world without coffee.